Attract new customers in Phoenix Arizona with Google Street View Virtual Tour! 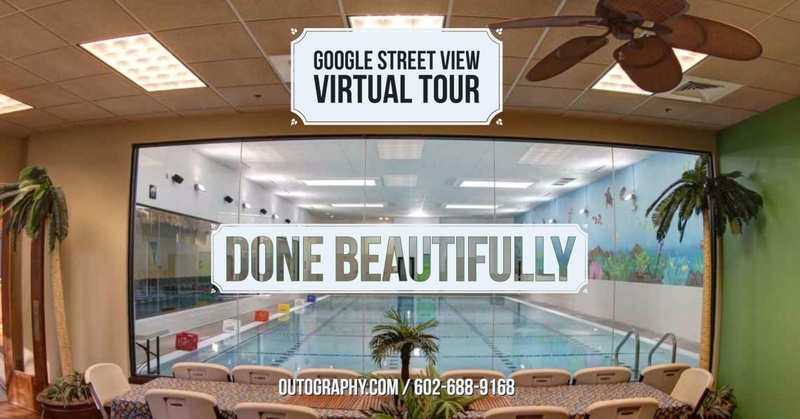 Local business in Phoenix Arizona can attract new customers on Google Maps and business website with the amazing 360° virtual tour to showcase business office, retail store, restaurant, gym/fitness center, medical office and so on. Google Maps Certified & Street View Trusted Pro Photographer since 2013. We focus on local business. We have done hundreds virtual tours in just Phoenix metro area. We use high-end professional digital DSLR camera and equipment. We do not use cheap 360° point-and-shoot stick camera. We go extra miles to provide high-resolution HDR (high dynamic range) bracketed and manually processed still images. We process all images in-house here in Chandler, Arizona. We do NOT outsource. We provide the royalty-free license to the business. We help local business correct their listing (proper map marker placement) and assist Google Maps Listing ownership transfer. We also offer complete local search marketing and SEO (Search Engine Optimization) consulting service. What does local business get from Google Street View Program with OUTography? 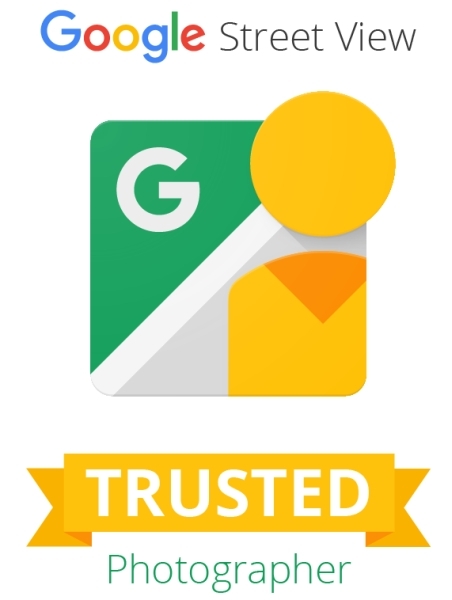 Professional photographers certified and trusted by Google Street View | Trusted Program (formally known as Google Maps Street Views). Amazing HDR 360-degree panoramic virtual tour on local business Google Maps Listing. Free Embedded code to display business virtual tour on business’s website, and optionally on your Facebook page (extra fee). High-quality high-dynamic-range (HDR) Still Images. Link to download all original resolution still images. Royalty-Free license from the Photographer to use on business’s website, marketing material and social media. What does local business need to get started? A claimed and verified Google Maps Listing. Don’t have one? We can help you get started and get verified with no extra charge! Get your facility organized and ready for the virtual tour photo shoot. Contact us to schedule your photo shoot. How much does it cost to join Google Street View Program? The virtual tour will be fully published for desktop, mobile and tablet version with 10 business days. Two links directly to the virtual tour on Google Maps and download high-resolution HDR still images will be provided when the virtual tour is published. At OUTography, all of our virtual tour photographers are Google Maps Trusted and Certified Business Photographers since 2013. Our photographers are also experienced local search marketing gurus. OUTography is a local search marketing subdivision of Powerfusion Internet Marketing. We use Google-approved professional DSLR camera equipment that is certified by Google Street View Program to ensure the quality of the tour. We mainly serve local businesses in the East Valley of Phoenix metro areas including and not limited to Gilbert, Scottsdale, Mesa, Queen Creek, Chandler, Tempe, and Phoenix. We do travel to the west side of the town such as Glendale, Goodyears, Peoria, Paradise Valley and south Maricopa County for additional travel cost. Have a business in Tucson? We love visiting Tucson as well. Feel free to contact us and schedule your Google Street View Photoshoot. The Google Street View is amazing. It shows the virtual tour of our restaurant. We are getting more new customers. OUTography has done a great job photographing two of our restaurants. ~ John. Terence is really easy to work with. He makes sure our Google+ page is optimized and our virtual tour is perfectly lineup to match our setting. The street view has helped us getting more page view on our website too. ~ . Sophia.